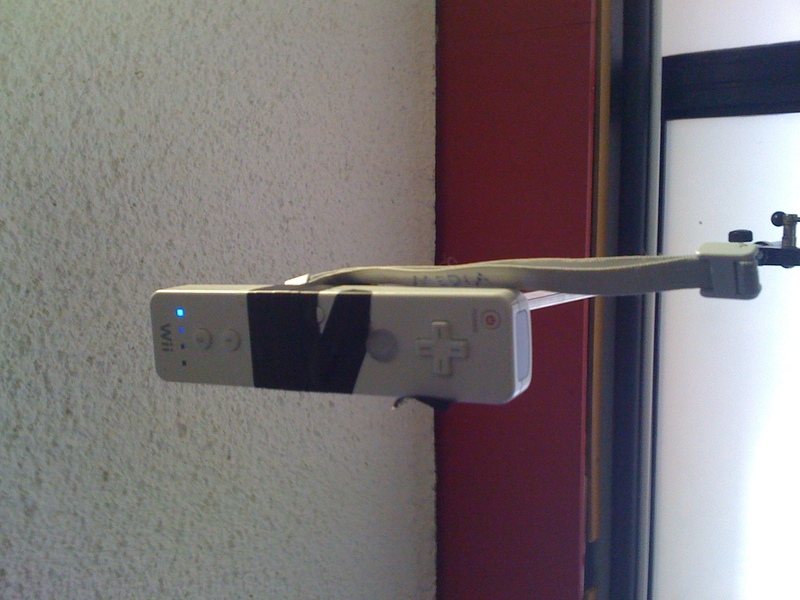 In the videos, I showed how I set up the wiimote at home, it is basically some cardboard in a triangle taped to my wall so that the wiimote has an angle for better tacking. 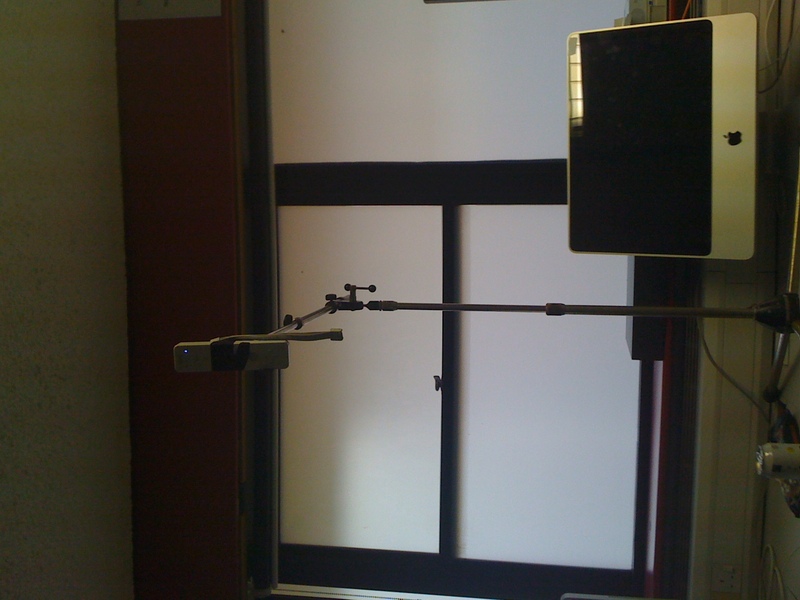 In uni, we have a microphone stand, so that has been put into use as a wiimote holder. It provides the perfect solution for holding the wiimote pointing straight down at the users head. ← Today, I’ve been soldering, again.